Ever since they started placing this billboard and their name just across where I live now, the boyfriend and I promised to try their food as soon as they open and as soon as we can. It was only a week ago when we saw that they are finally open! 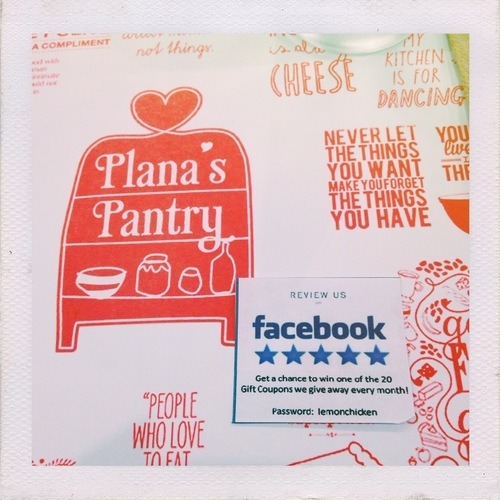 I'm talking about this super posh restaurant called "Plana's Pantry". 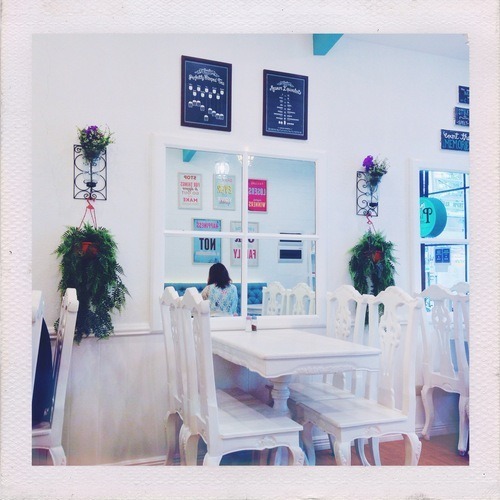 Upon entering, you will easily recognize how dainty and quirky--in a good way this place is. 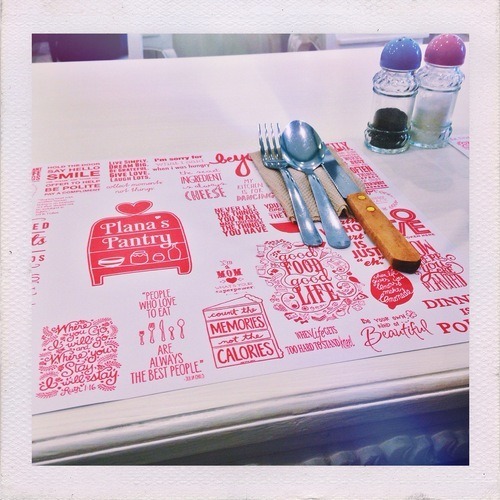 It felt warm, cozy and cool to the eyes, which are characteristics of a good and admit it, expensive restaurant. Fortunately, Plana's Pantry isn't that expensive at all! 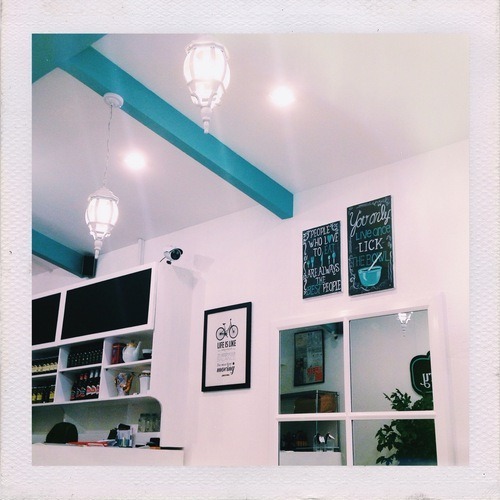 Judging from their interior/design, they won't, but they do offer affordable food too. 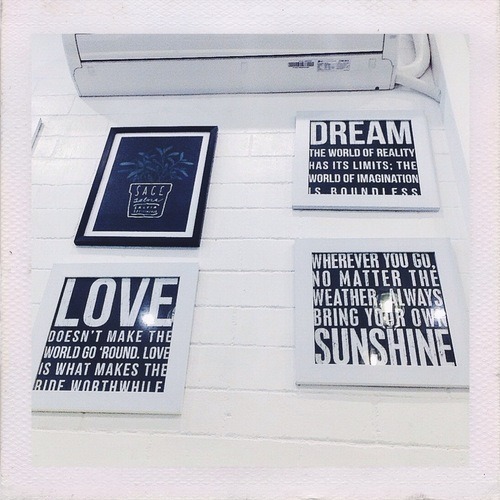 Plana's Pantry have these quotes in a very vintage-ish frame. All of these quotes are of course related to food and eating! Contrary to beliefs that posh restaurants like this should have an expensive placement, they opted for a recyclable yet stylish one. 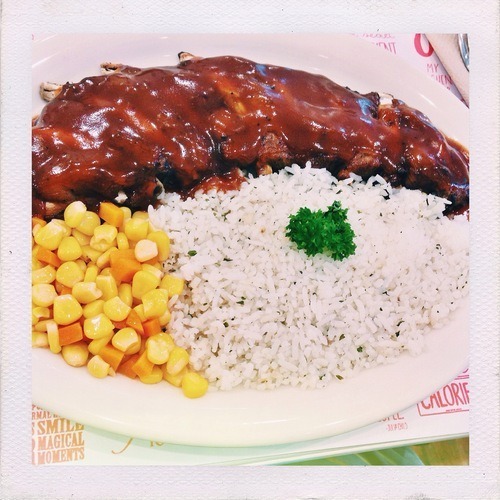 The boyfriend wanted to try what was in the billboard, and what we assume is or will be the bestseller, which is this Hickory BBQ Ribs which is actually pork, but with its amazingly soft texture, you wouldn't think so. I, myself is not a pork lover, so I opted for something else. But then again the boyfriend wanted to try this, and when he did, he was surprised at how delicious it was (not that it doesn't look good enough in the picture because look at that view!) --that he recommended it to me. He thought that I'd like it because it doesn't taste like pork--and indeed it doesn't! It was that good--the taste, savory. You gotta try this! 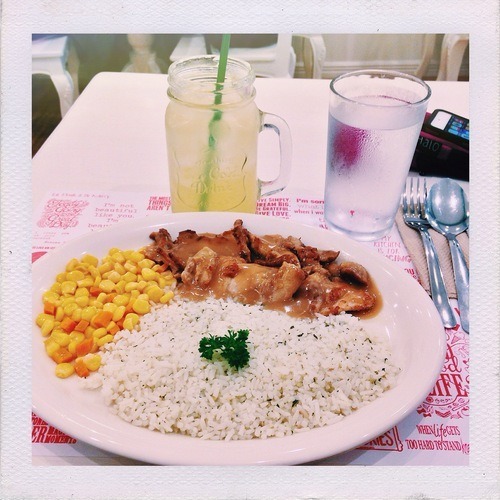 I chose Chicken Steak because I love chicken, steak, and rice! And oh, of course, the gravy! I was so amazed by what I saw after they delivered the food on my table--buttered vegetables, grilled chicken in gravy and what seems to me, Italian rice! I thought I can only eat it at Italian restaurants like Big Oli and such but no, Plana's Pantry is just that determined to please your palate. I also ordered a Calamansi Juice with Honey to cap off that amazing meal. Plana's Pantry isn't only a place to eat good food, but to meet and possibly reconnect with old friends as well. With a place as cozy as this, you wouldn't think twice! 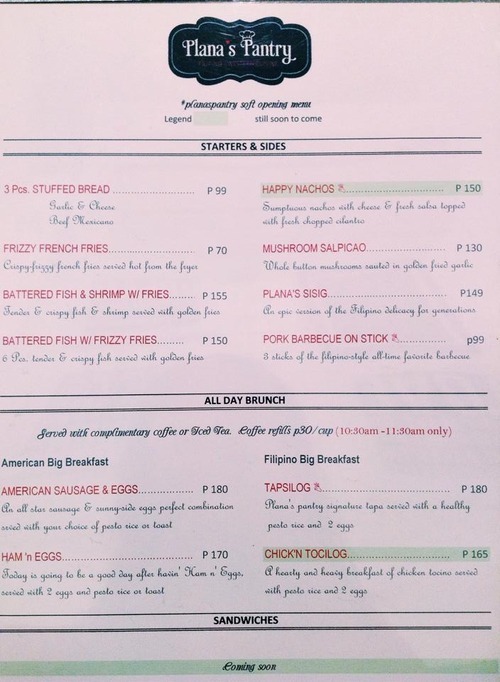 Plana's Pantry is a Filipino-Western restaurant located at 50 Domingo M. Guevara St. (formerly Libertad St.), Highway Hills, Mandaluyong City. They are open from Monday to Sunday, from 10:30 AM to 11:00 PM. Visit their Facebook page for more information. Get off MRT at Boni or Shaw Blvd. Station then ride a tricycle going to California Garden Square Condo (Libertad St., Highway Hills). We are right in front of California Garden Square main gate. Find any tricycle terminal at any corner along Shaw Blvd. near EDSA, ride a tricycle and go to California Garden Square Condo (Libertad St., Highway Hills) We are right in front of California garden square main gate. Taxi drivers usually know "Calbayog Street" and California Garden Square Condo. Just give the address and look for California Garden Square. We are right in front of its main gate.